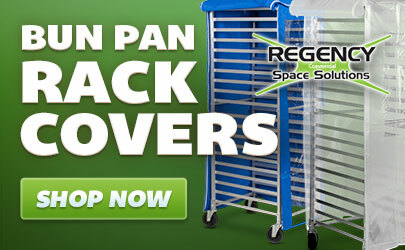 Protect contents during storage and transport with this convenient Lakeside 6536 stainless steel enclosed bun pan rack! Made from durable, welded stainless steel, this bun pan rack can hold up to (19) 18" x 26" full size sheet pans or 14 half size sheet pans. The rack assembly removes easily for cleaning and sanitizing. 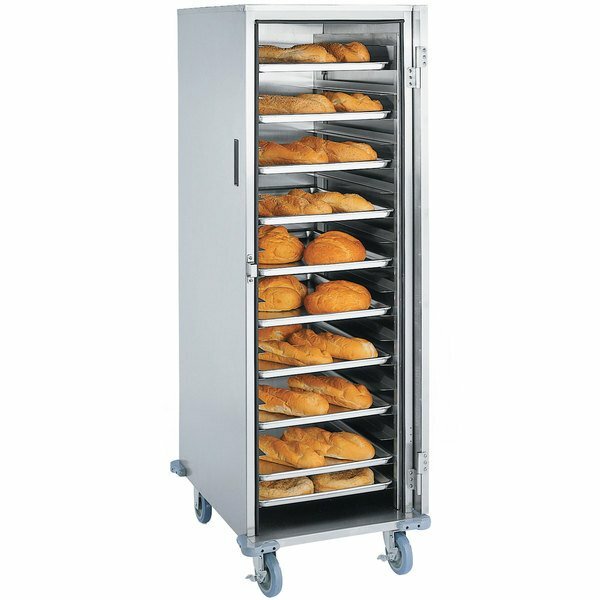 Its unibody construction keeps the cabinet balanced and stable, while the strong stainless steel frame is built to withstand your frequent transport needs. The fixed ledges are spaced 3" apart to provide space between the pans for a variety of breads, baked goods, and other foods. Plus, you can count on sanitary storage since this rack is enclosed to protect your food and pans from dust, dirt, and other contaminants. Whether you are storing food or transporting pans from the kitchen to a serving area, the enclosed nature of this rack will keep your food safe.